The best way to come to our inexpensive hotel is by car or a private taxi. We have our own cars, and we offer you transfer from the airport/hostel/airport or other private services such as city tours. We have private taxis in order to offer you a service of confidence and safety. The Place is a cheap hotel in Lima, Peru. It is located in the same zone as the best international hotels. We are located near the coast, and places of tourist interest. We have all tourist information, air ticket sales, bus tickets, city tours and tourist bundles. Transport from the aiport to the Hostel or From the Hostel to the Airport with private and security taxis. In the hostel, our staff can offer you all information about various activities, touring, car rental, city tour, ticket purchase, etc. The hostel has carpeted rooms with telephone and hot water, TV, cable, bar, cafeteria, free parking, etc. Close to the hostel you can find restaurants, disco bar, pacific ocean, mall, sourvenirs, cinemas etc. The hostel is located 2 blocks from the principal Av. 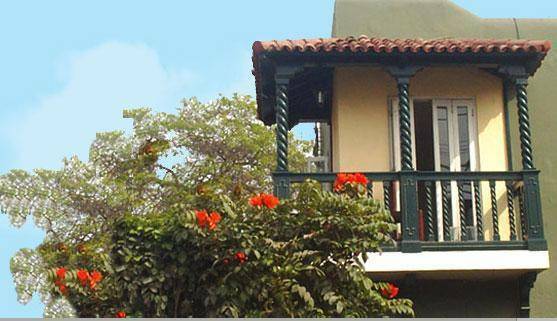 of Miraflores district and four blocks from the best shopping center of Lima "LARCOMAR". Close to the hostel you can take taxis, local rails, bus terminal.